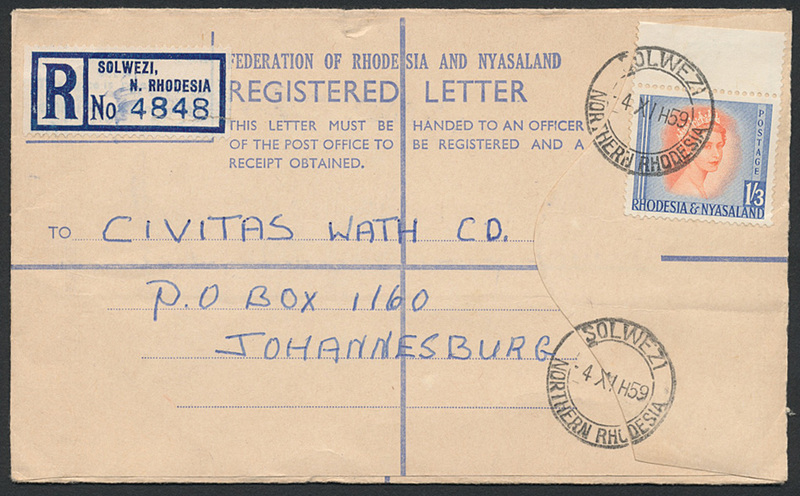 1959 (4th November), Federal registered stationery envelope bearing QEII 1/3 red-orange and ultramarine (SG 10), cancelled 'SOLWEZI / NORTHERN RHODESIA' dc datestamps, addressed to Johannesburg. Printed registration label. Attractive.